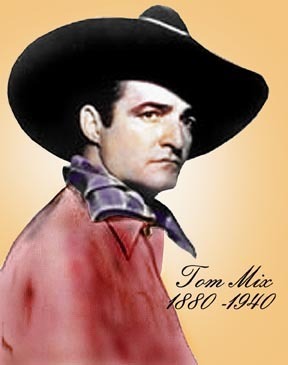 Those boys knew that a real cowboy never steals; and they would’ve been agog if Mix ever ‘dropped’; surely none of them stepped into a theatre during Mix’s lengthy silent career and expected to deal with that kind of loss. If they had, there were always the films of Mix’s weightier counterpart, William S. Hart, who never made as much money as Mix did. The Man From Texas, then, is about as challenging a film as you’d expect—that is, no more challenging a film than its audience desired. 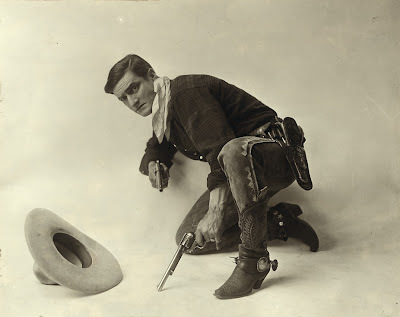 Mix plays ‘Texas,’ a ranch-hand and possible hired-gun (the script implies much but says little); his first test comes in the form of a letter from his far-away sister, Mae, informing him that her fiancé has abandoned her. 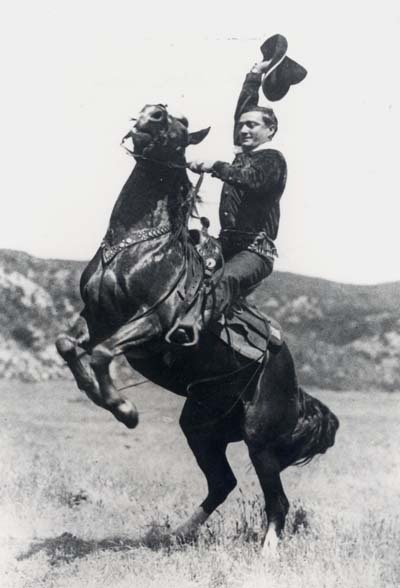 Enclosed is the picture of the varmint, whom Texas has never met. No law, honour code, or practical need stands in the way of Texas’s ‘trip of vengeance,’ (to quote another intertitle). Yet, when Texas tracks down the rat (a card-shark name Hargrave), it is the rat who fires the first shot. He misses, and Texas, naturally, does not. The rat heads for a morgue slab and Texas heads to the centre of town, offering his gun and his freedom to the local sheriff, who will hear none of it, since witnesses confirm that Texas fired in self-defense. This first portion of The Man From Texas ends with a weeping Mix telling his story to Moya, a girl he managed to save from Hargrave’s predatory clutches. Moya and Texas have two more adventures over the course of the film. One involves a friendly rivalry for Moya’s affections, waged between Texas and another man. Both send her letters, inviting her to an upcoming dance; they agree to let her choose on that basis. But true to form, Texas’ rival pulls a fast one and secretly asks her ahead of time. He later commits a crime. In the final third of the film, feisty, capable Moya is captured by outlaws and requires rescue. Each of these episodes has a definitive conclusion, so I wasn’t surprised to learn they were filmed as standalone pieces and only later combined. And thank god, because The Man From Texas, even at only 45 minutes of surviving footage, would feel mighty long if not for these quick changes. It’s directed without inspiration; without a mobile camera; without even a closeup of its star, and the results can be hokey and tedious. At least each adventure is short. What makes the film interesting today is Mix. His cowboy is willing to solve problems in lethal fashion, and quite capable of doing it, but his hand is always forced. He gets to do the right thing and the most entertaining thing at the same time, without fear of personal or public reprisal. He epitomizes prevailing justice in a chaotic world—and he’s the ultimate target for those who can’t escape reality so easily. The efforts of men like John Ford and John Wayne; Sergio Leone, Clint Eastwood and Sam Peckinpah to find the cowboy’s darker, brooding core can be judged best if one understands the idealized being they were trying to take apart.